Two new HTC phones have hit the Philippine shores. The first is the Android powered HTC Sensation XE. The Sensation XE is nearly identical to the original Sensation. As near as we can tell the only differences are but for the Beats logo and red back lighting of the for hardware buttons. Yes, the Beat logo also does mean it is bundled with Beats earphones. The processor speed has been beefed up to from a dual core 1.2GHz processor to a dual core 1.5GHz unit. The battery has been beefed up to 1730mAh from 1530mAh. CMK Cellphones list the retail price at Php26,600. This is Php2,100 more than the original model. Beats audio, faster processor and a larger battery certainly make it worthwhile buying the Sensation XE instead. The other phone released by HTC is their new entry level Windows Phone 7.5 "Mango" device. The radar. It looks like it is a replacement for their previous entry level phone, the HTC Thropy which has a improved 5MP camera and adds a front cam. The price is a very reasonable Php18,200 for what it offers, having a 480 x 800 resolution 3.8-inch screen, 1GHz processor and 8GB of internal storage. 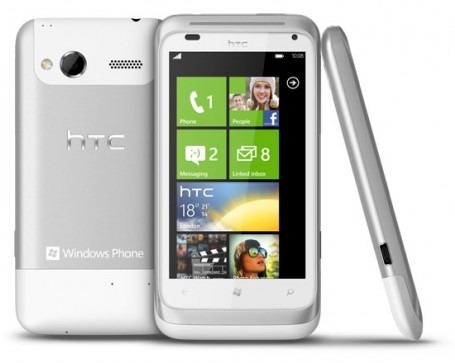 Windows Phone 7.5 can start to go mainstream with lower cost devices like this. 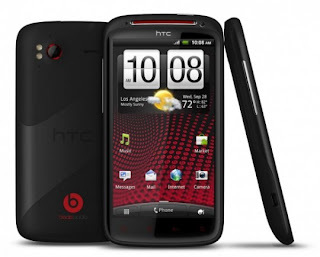 I hope the HTC Titan finds its way to the Philippines.